Design options are endless with MB Kit Systems’ NEXT-LEVEL DESIGN. 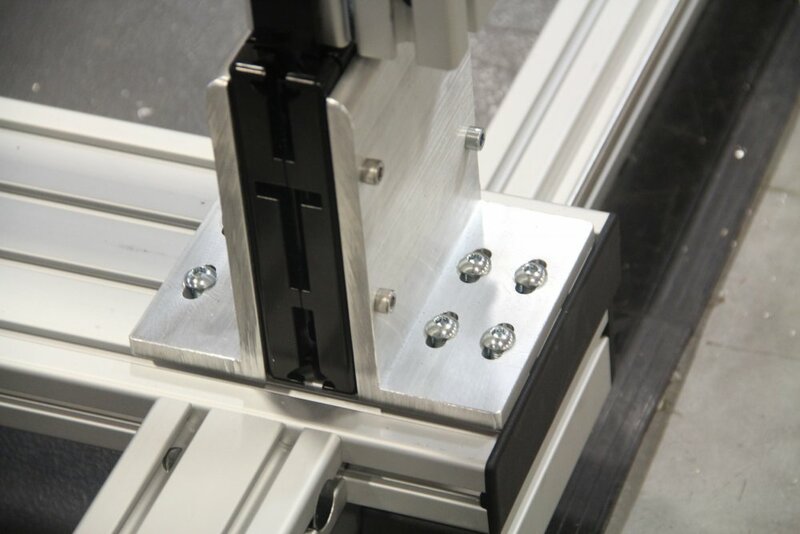 Modular T-slot products provide a strong basis for application design, however there are limiting factors for more advanced projects that require strong stability and design flexibility. 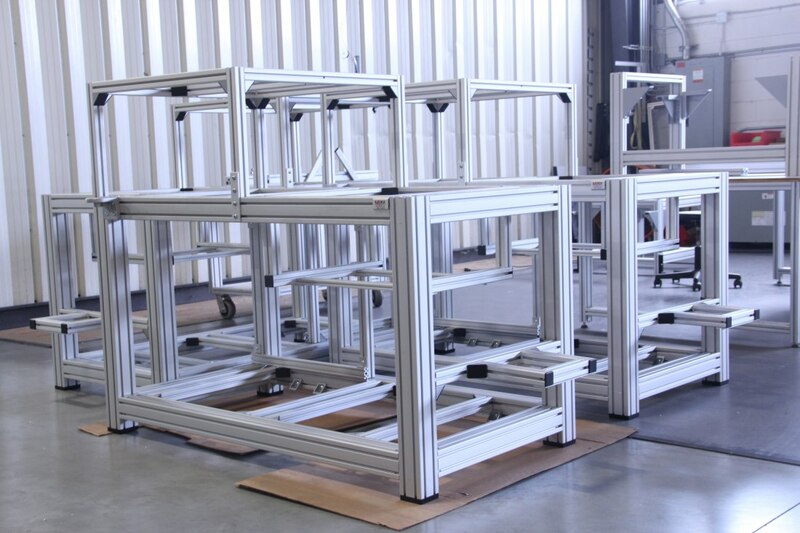 Examples include projects that require high-loads must sustain strong vibrations or applications which are under constant momentum load situations require additional bracing. Next-Level Design increases a project’s level of integrity, ultimately enabling higher-level build quality for most situations. Enhanced design options include, but are not limited to specialty engineered braces, brackets, spacers, adapter plates, and connecting plates created from a variety of materials such as aluminum, compounded, and plastic materials. NEXT-LEVEL DESIGN enhances a project's design to allow for an overall higher-integral structure and greater design flexibility. Various materials including aluminum panels, sheets, profiles, plastic panels, etc, can be fabricated and used in the design. Utilizing alternative, non-modular T-slot materials into a modular T-slot build increases design complexity to allow practically anything to be built. 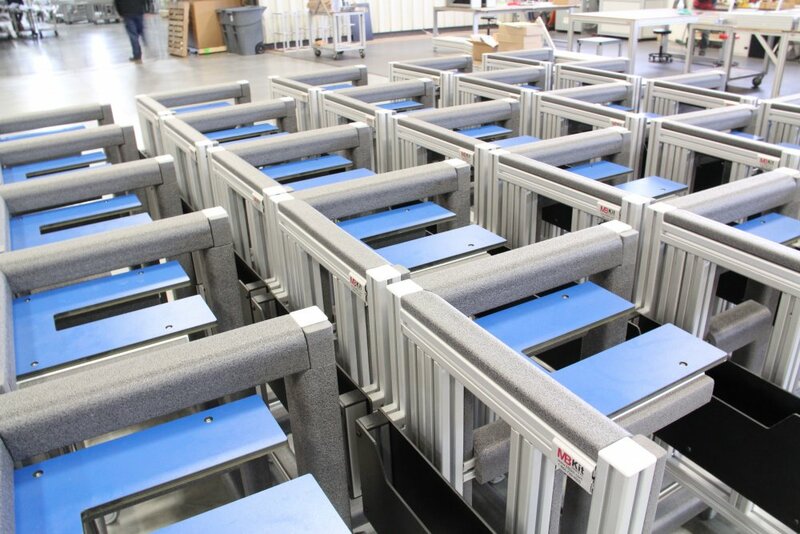 NEXT-LEVEL DESIGN is incorporated into a large projects of designs at MB Kit Systems. MB Kit experts understand the restraints to traditional fastening technology and will recommend either alternative or additional design options during the planning and design stages of the project. Extruded aluminum itself has its limitations. To see these limitations view profile technical data. Curious to see if we can take your project to the next-level? Send us your ideas and experience NEXT-LEVEL DESIGN. Panel inserts were used to ensure a clean install. Cuts and engraving allowed for both easy installation and instructions. 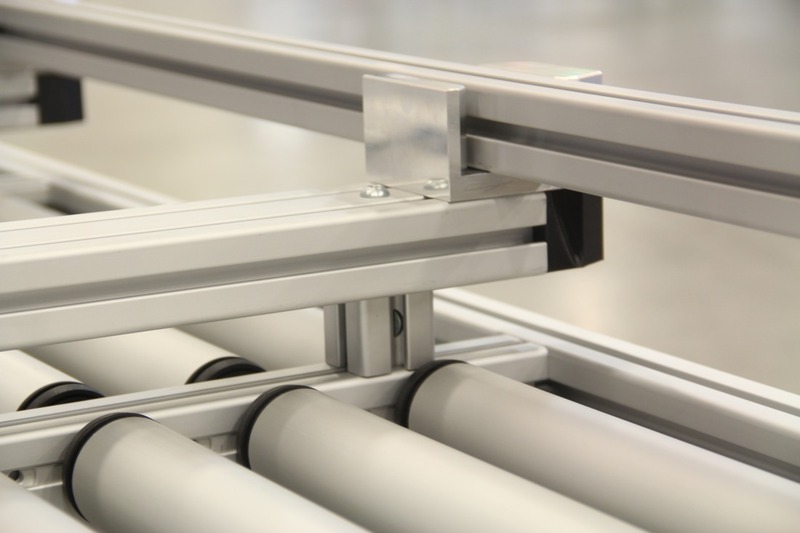 Conveyor assemblies are frequently designed with additional bracing to sustain momentum shifts that occur with constant load changes from material handling situations. 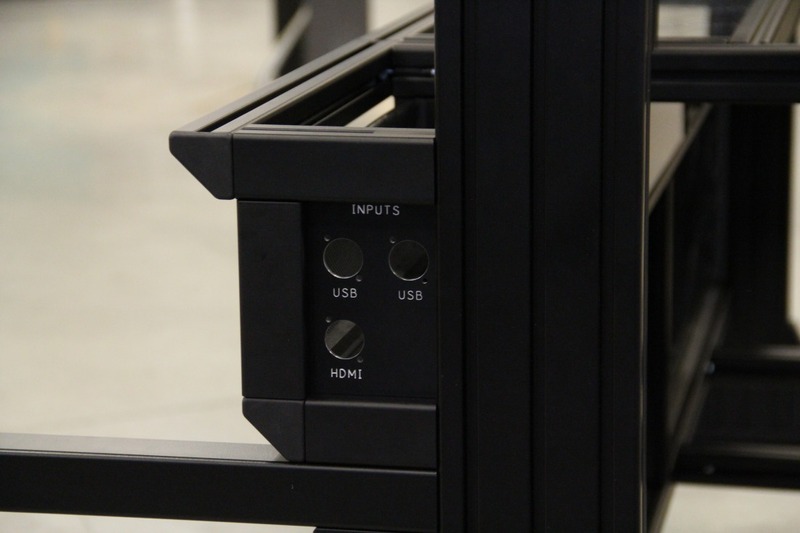 To account for additional stability, MB Kit Systems designs and fabricates custom hardware to increase the level of integrity for most applications.